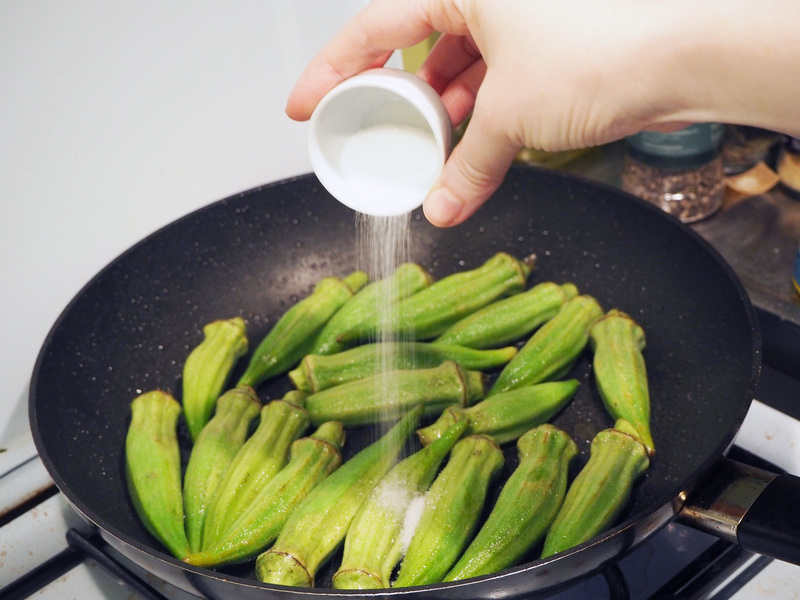 My mother was always amazed that I’ve loved okra so much. She could hardly make me eat many other things that most people love. 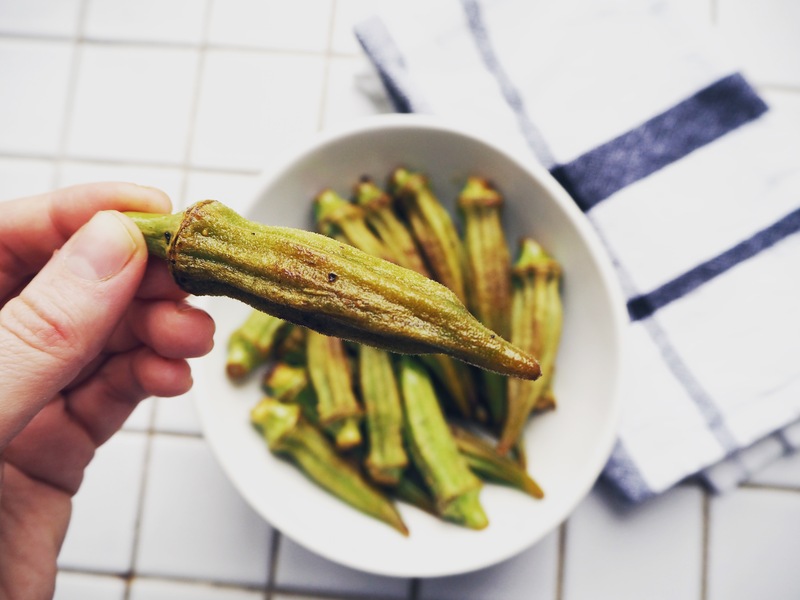 But with okra, she didn’t need to force me at all – which was odd because nobody in the family except for her and me liked this beautiful vegetable. Oh wait. No it is a fruit, because it has seeds. 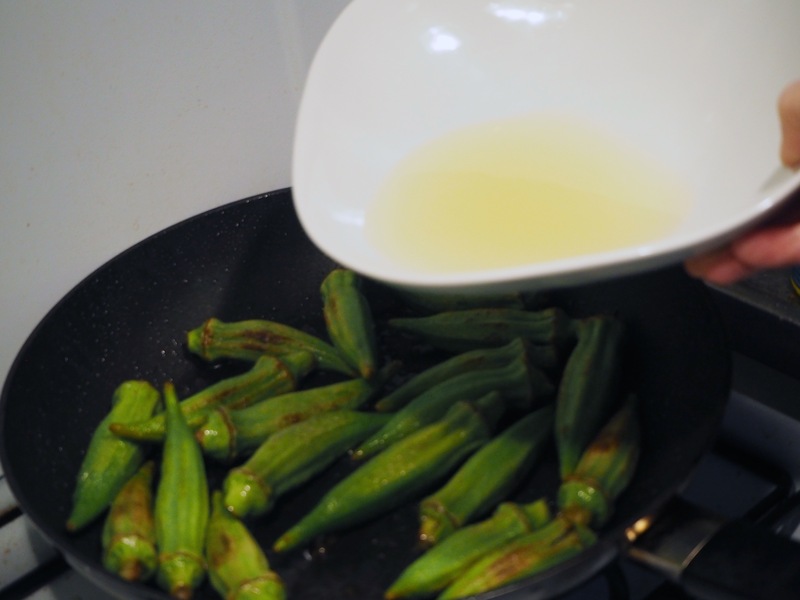 I can understand people’s reaction to okra – if it is overcooked, or if you spoil it while cooking, it gets too soft and slimy and this is not pleasant to eat (I don’t like eating that kind of okra either). Some people also don’t like the “hairy” texture on the surface, though I think it’s not disturbing. 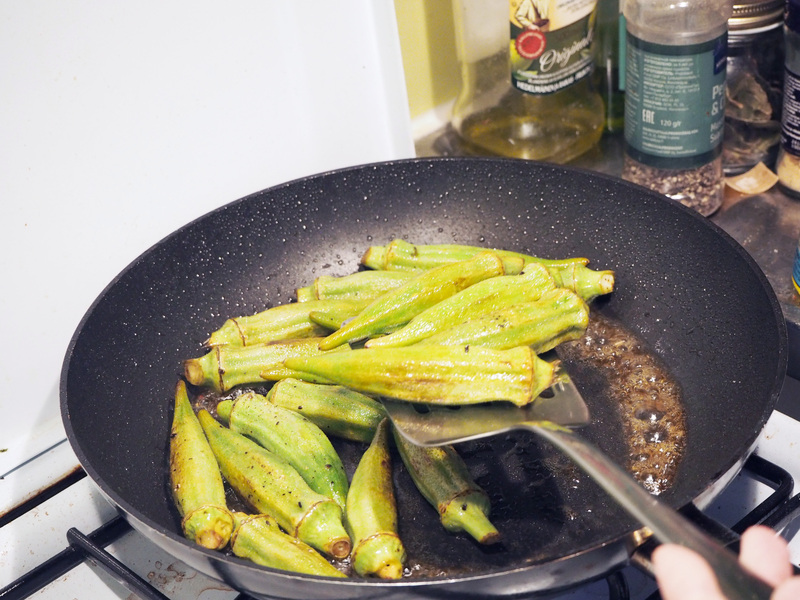 This okra dish is very fast and easy to make – about 20 minutes max. You can serve it as a mezze, warm or a bit cold, and you can also eat it like a snack. 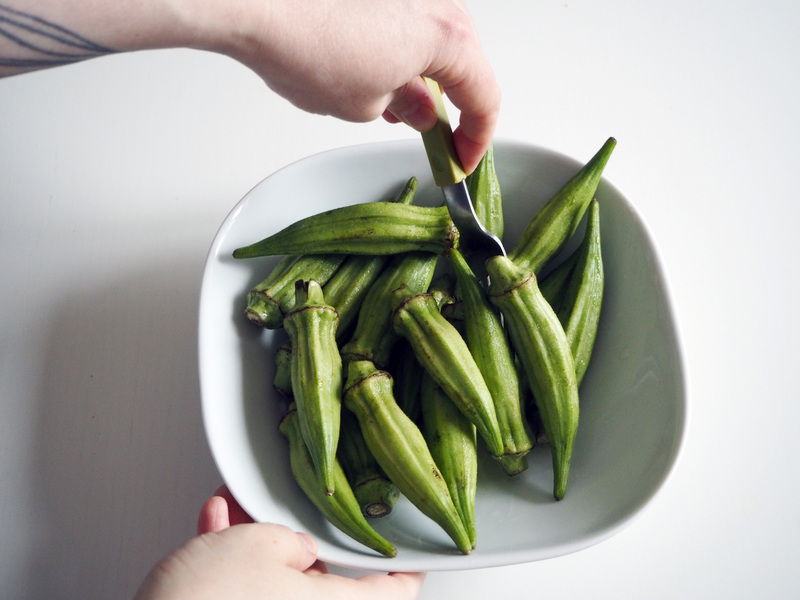 In Helsinki, it is very hard to find okra, especially fresh okra. Right now you can find it in Stockmann (a bit too expensive though, €20/kg) and in some ethnic markets, like Hauler in Kaisaniemi. 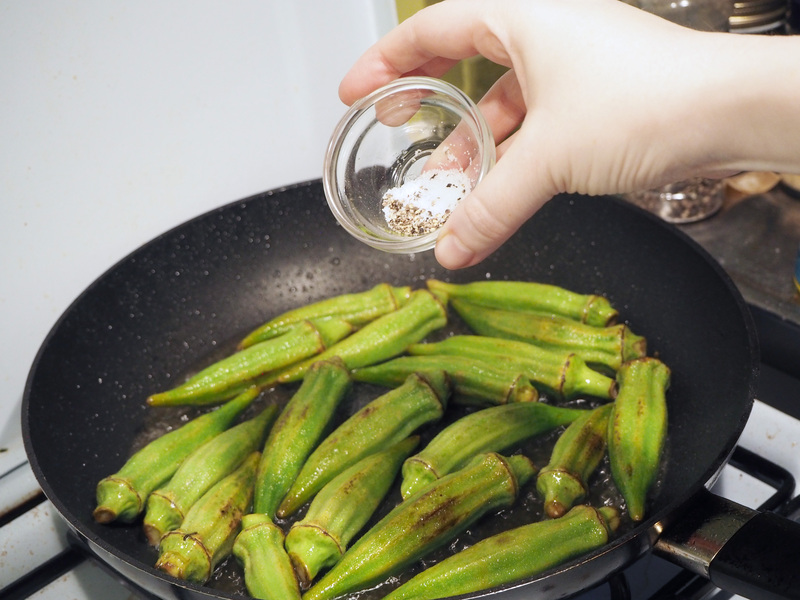 You can, though, also make this dish with frozen okra that you can find in Hauler and in Alanya Market (in Itäkeskus) year round. 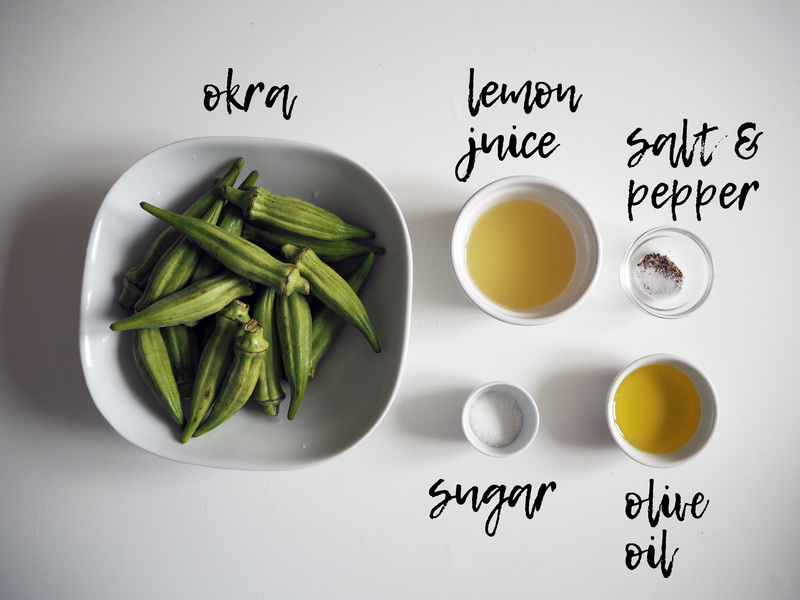 I hope even if you don’t really like it so much, you can give one more chance to okra with this recipe! It is really tasty and it has many health benefits!!! Enjoy! 1. 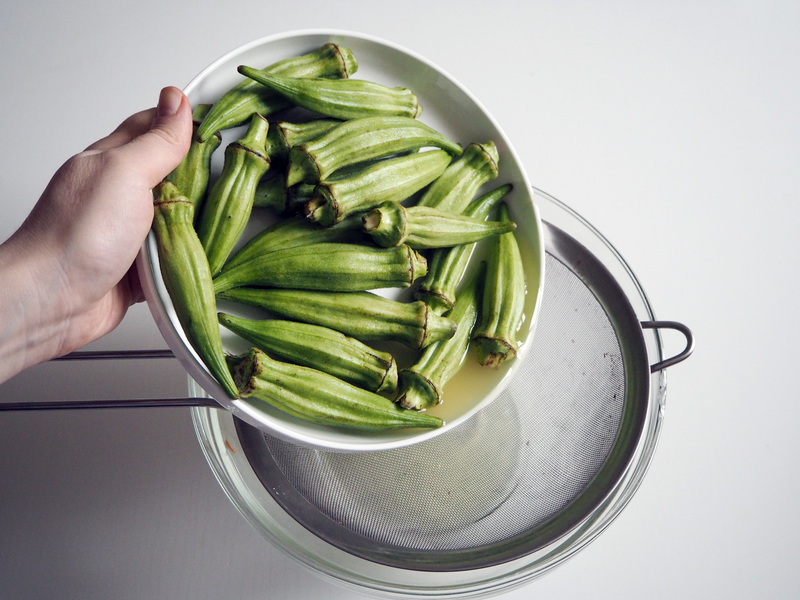 Put the okra in a bowl and pour lemon juice. 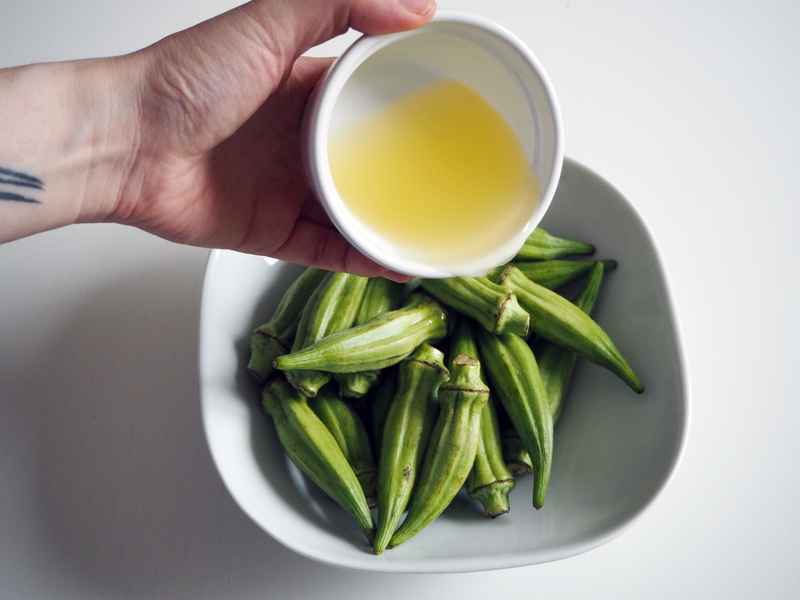 Make sure all okras get the lemon juice (try not to poke them too much). Let them soak in lemon juice for 10 minutes. 2. 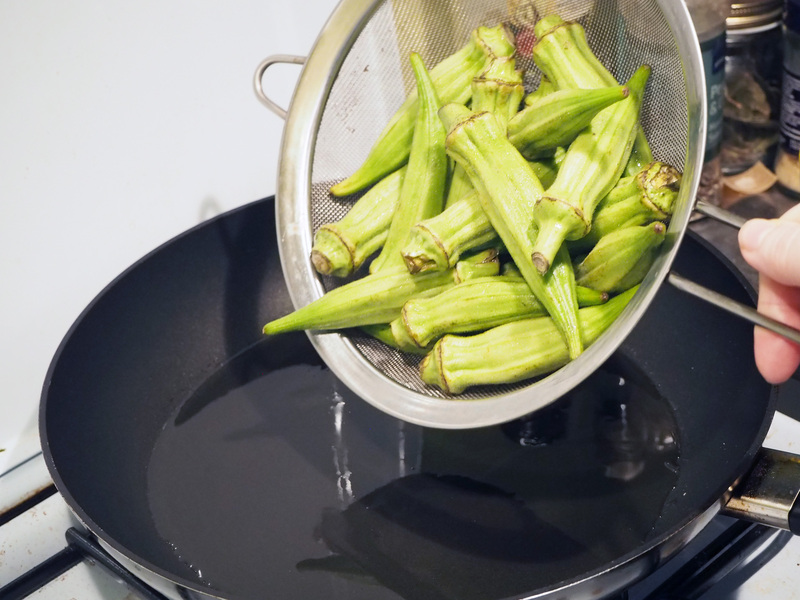 Drain soaked okra through a strainer – KEEP THE LEMON JUICE! 3. 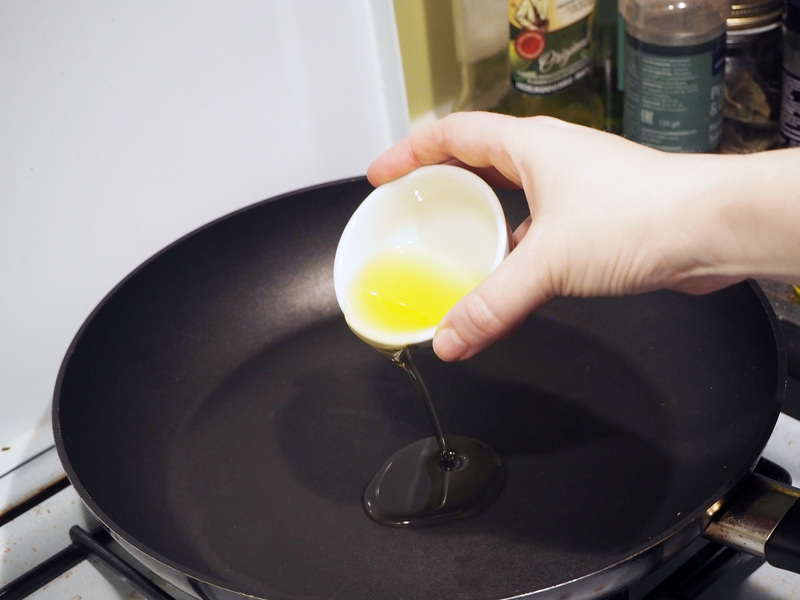 Heat olive oil in a medium pan on medium high heat for half a minute. 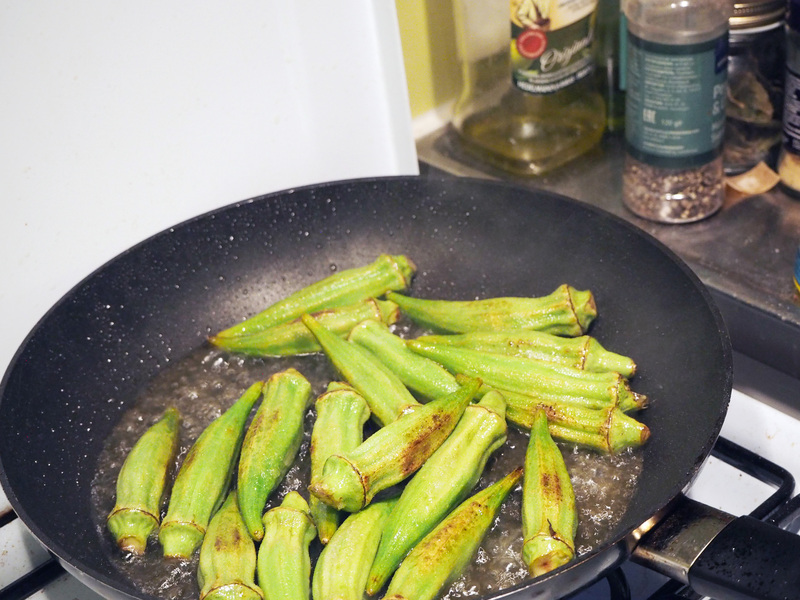 Toss in the okras and cook for 2 minutes, shaking the pan often. 4. Add sugar and continue cooking & shaking for about 2 more minutes. 5. Add lemon juice that you kept, continue cooking & shaking (sorry for the completely blurry weird photo..) for about 3-5 minutes, until okras are cooked and ok to eat but still keep their bite. 6. Add salt and pepper, cook & shake for half a minute and then transfer to a serving dish / bowl with a slotted spoon or spatula. Enjoy! 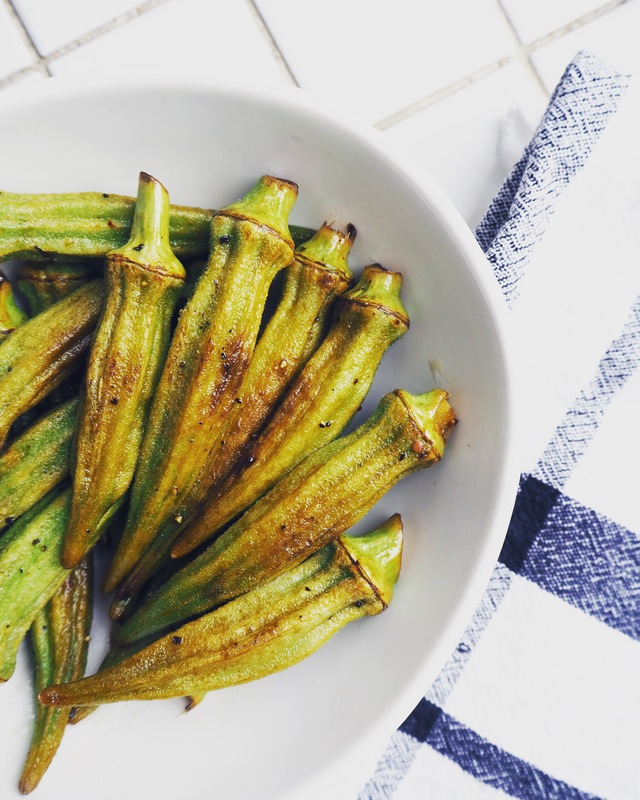 I’ve only had okra a few times (it’s not common in NZ), but I really like the chewy texture and even like to eat them a little slimy. I’ve only eaten them in dishes (usually gumbo) so I like the idea of this recipe served as a mezze. We also generally make dishes with it, with a little onion and tomato paste and sometimes the addition of meat / chicken. 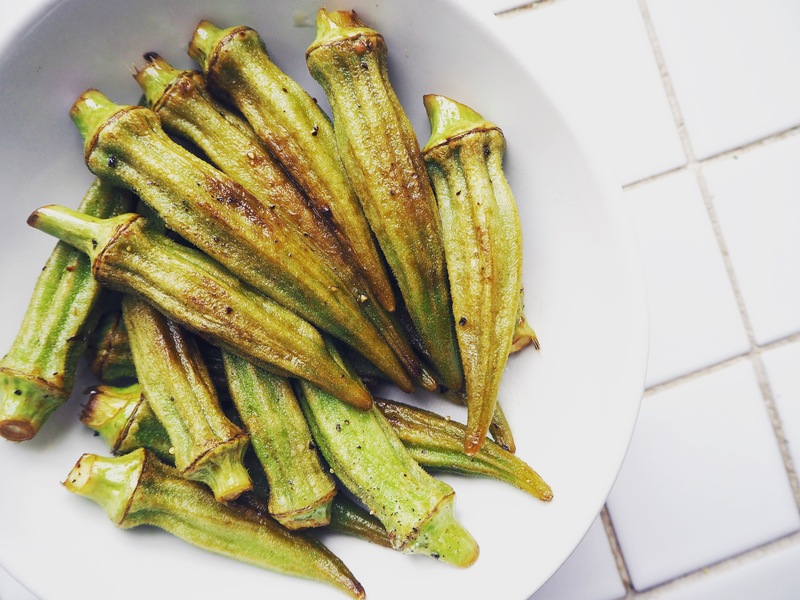 I tried this version first time recently too and loved it – it’s especially a good way of using fresh okra, as it doesn’t take so much time to prepare. Previous PostSticky And Spicy Gingerbread – Or More Like, Gingergasm! Next PostHot Hummus With Pine Nuts And Butter – This Will Change The Whole Hummus Game!